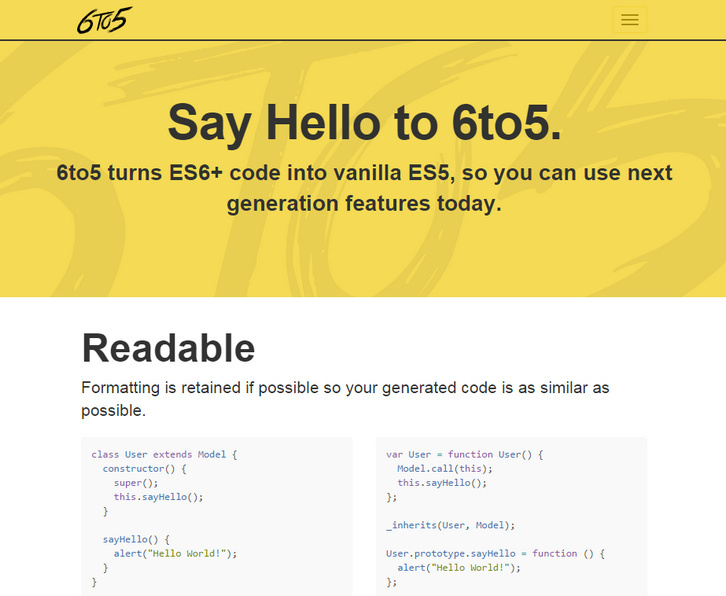 6to5 has plugins for all of your favorite build systems. Check out the official plugins for Gulp, Grunt, Browserify, Webpack, Brocolli, and many more. Using either the CLI or require hook, you can easily setup 6to5 to work with your Node.js app. Module authors can also easily precompile their assets before publishing to npm.